The first letter – written by .H. P. B. in September 1888 – is not addressed to Judge. 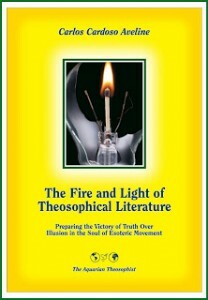 Its transcription is incomplete, and it has no opening or closing, but it provides valuable background information on the circumstances leading to the formation of the Esoteric School of Theosophy, in October 1888. It is addressed to Mr. John Ranson Bridge, who is favourably mentioned also in the third letter of the present chapter. The whole correspondence between H.P.B. and Judge – and the present chapter is no exception – shows one point among others that has paramount importance for 21st century students who are interested in the search for discipleship. It refers to the necessarily precarious and unstable nature of any outer organism – as a physical plane esoteric school – whose members and leaders, starting with Judge and Blavatsky, must work and live under severe probationary fire and have to face constantly renewed karmic pitfalls, year after year, and decade after decade. “Something is wrong in the State of Denmark”. A reference to one of the most famous lines by Shakespeare. In “Hamlet”, Act I, Scene 4, line 90, Marcellus says to Horatio: “Something is rotten in the State of Denmark”. To which Horatio retorts: “Heaven will direct it”, meaning – “Heaven will guide our community”. Now the “Blavatsky Lodge” of the T.S. was the outgrowth of this idea  being composed of a few dozen of such friends as are willing to enter with & follow me in a spirit of candid loyalty on the path of true Occultism. The idea was (& is) to have my Thursday expositions reduced to writing, & copies sent out to all the sympathetic Branches & theosophists as also questions aired & answered throughout the theosophical world. I have not the slightest desire for executive authority. I hate “red tape” & parliamentarianism , & my ways are not those of Col. Olcott. Yet, we have ever been acting together on these two planes  he – in the executive exoteric work, I – in the philosophic & esoteric field. “You heard from Judge I suppose to that effect. What he does now is perhaps only provisionary. If a Council could be called in every city where there are Esotericists it would be well, as before I resume my teachings the E.S. has to be firmly organized. If I have to teach you at all, and teach real Occultism not give out only a portion of the truth & hints as to the rest as I have done heretofore  – then I must feel secure. I will not be surprised to see the 2 Instructions published some day in Bundy’s journal. Those already given will not do much harm; were I to continue without shielding the teaching, [that ?] which follows will do an immense harm if it falls into the hands of unscrupulous people. Here, and as HPB, I have no right to refuse any one who seeks admission. But the Presidents of occult groups will have such a right & be bound to do so. Thus [there ?] will [be] less risk for me to receive into the Society traitors” etc. etc. If, knowing that you are the only man in the E.S. in whom I have confidence enough not to have exacted from him a pledge – you misunderstand me, or doubt my affection for you, or gratitude, then in addition to other things you must be a flapdoodle. To begin, accept my sincere apology for having gone into the wrong box. It appears it is not you (not directly at any rate) but Griggs who has ruffled Bridge’s feathers. But the question is: has Griggs acted on his own hook, or have you, Councillors, with yourself at the head made this rule that a President in chair or before taking the chair should pledge himself? If so it’s silly, my beloved son. The President of each E. group must first of all pledge all his members in his presence to obey him and make them repeat the pledge & then only pledge himself before them all to the Esoteric Constitution. And there are & will be cases when a member of the E.S. does not like to join a group, wants to remain unknown or apart from others & then if I have confidence in him, I may allow him to remain an unattached member. Make this provision, for it is absolutely necessary. Judge, we have too many enemies not to do our level best to keep our good members, & Bridge & Noyes  are honest & sincere, both. They may be fanatics & snap their fingers at personalities, but they are true & devoted to Theosophy to death. Now don’t be a mule-headed Irishman & do not kick against your best friends. There is nothing I would not do for you & I will stick for you till death thro’ thick & thin. Do something to help me; do not make enemies of those who will otherwise remain in our army, simply on account of some damned formality & red-tape rule. You say & write & print you are my agent (of the rather, not [mine ?]). Therefore, it is easy for you to say that the alteration is made by myself if you have any such rule. And look here, if you dare protest in blue or red pencil against what I write  about you in my forthcoming Instructions then – I will curse you on my death bed! You do not know what I do.